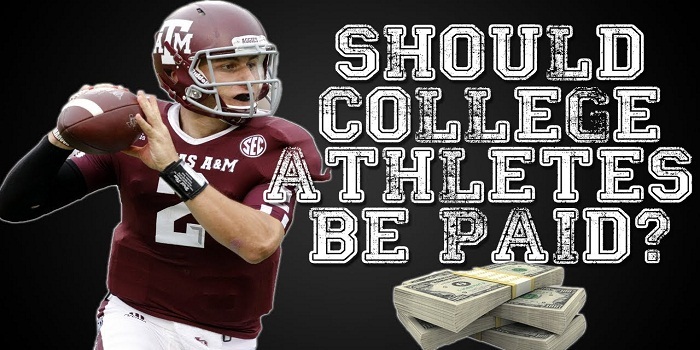 In recent years, a lot of people have been debating the question of whether college athletes should be paid by their respective colleges. They never have been, but our economy has grown in such a way that it has made these teams a very lucrative venture for many colleges. Most of these athletes won’t have a professional career after college, either due to massive injuries or due to inadequacy. Either way, their hard work is putting lots of money into the pockets of people who will continue to make a living with money earned from the next college athletes for years to come. Meanwhile, most of these athletes will be left high and dry at the age of 22. Here are some reasons why college athletes should be paid. What are the Athletes Getting in Exchange? The first thing that you can ask yourself is what the athletes are getting in exchange for playing college sports. They are getting national attention that will put them on the radar for professional teams when they graduate. They are often getting some kind of scholarship, and that means they are paying for their education with their work as athletes. That said, some colleges will modify the college curriculum for their athletes significantly, giving them more time to focus on sports. This often leaves them with an inferior education as compared with their non-athletic cohorts. What is at Risk for the Colleges? It’s also important for us to ask what is at risk for the colleges if they start to pay the players. The most obvious answer is that the pay will need to come from somewhere, and there are obviously several people who work for the colleges that are getting paid the majority of the money that comes in from advertisers and merchandise sales. Those people are definitely going to need to get used to splitting their paychecks with all the players on the team. There will also need to be new statutes made to discern what the new rules will be regarding college students being on the university payroll. How are the Colleges Benefitting? Every university with a major athletic team is earning a lot of money from the market driven by its players. From ticket sales at the games, to advertising dollars, to sales of merchandise, to greater public interest in attending the school. There are all kinds of benefits, that increase both the school’s wealth and prestige. This clearly means that their sports teams are a major asset, and the work being done by these college athletes is doing more than just keeping the lights on. This is an essential factor to consider when assessing whether or not the athletes deserve to be paid. The last argument that a lot of people debate is whether or not to consider the athletes as actual employees, since some don’t consider what they do to be work. However, if professional athletes are considered employees of their professional teams, then it’s hard to understand how that might be different with college teams. Some of these athletes are even spending so much of their energy playing sports that they may be earning college credits through online universities, like USC Online. However, does it constitute as work? It all depends on your perspective.